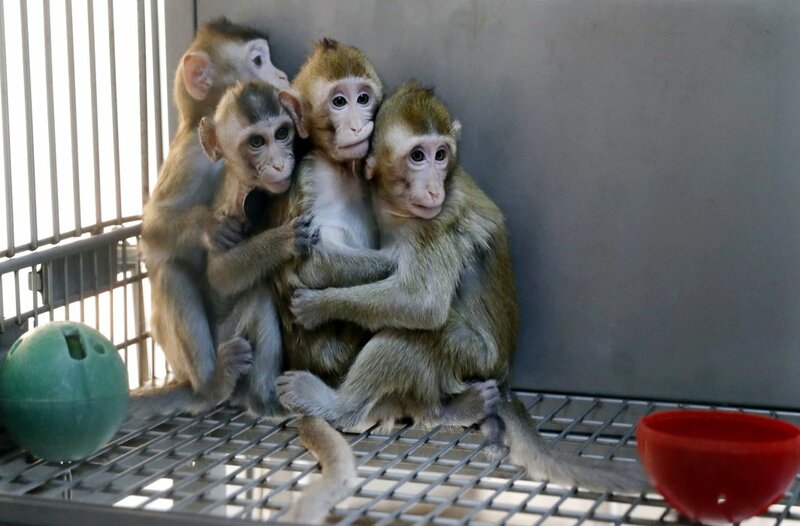 On Thursday, Chinese scientists announced that they had cloned five monkeys from a single animal that was genetically engineered to have a sleep disorder, saying it could aid research into human psychological problems. The claim, detailed in two reports published in a Chinese science journal, is the latest in a series of biomedical advances in the country, some of which have fuelled medical ethics debates. Macaques are chiefly Asian monkeys typically having a sturdy build and including some short-tailed or tailless forms. The gene-edited macaque had circadian rhythm disorders associated with depression, diabetic, cancer and Alzheimer’s disease. It is the first time multiple monkeys have been cloned from a gene-edited monkey for biomedical research, IANS quoted a Xinhua news agency report. Poo Muming, the director of the neuroscience institute and the study’s co-author, told state media that the research team would seek to clone more monkeys with different brain disorders in hopes that future experiments on them could yield new drugs or treatment. The cloned monkeys, closer to humans in terms of activity routines, brain structure and metabolic rate, make better models for research on disease pathogenesis and potential therapeutic treatments, according to the team from Institute of Neuroscience of Chinese Academy of Sciences in Shanghai. To create an ideal donor monkey, the researchers knocked out BMAL1, a core circadian regulatory transcription factor, using gene editing at the embryo stage. They selected one of the gene-edited monkeys with the most severe disease phenotypes as the donor. The fibroblasts (the main connective tissue cells present in the body) of the donor were then used to clone five monkeys by somatic cell nuclear transfer, the same method used to generate Zhong Zhong and Hua Hua, the first cloned monkeys born in China at the end of 2017, the report published in the National Science Review journal revealed. Different from Zhong Zhong and Hua Hua, generated by using fibroblasts from an aborted foetus, the new clones were made using a gene-edited young adult male monkey. “It shows that besides using foetus, batch cloning of gene-edited male monkeys with diseases is also feasible,” Qiang Sun from the institute, was quoted as saying. Sun stated the research programme was reviewed and supervised by the institute’s ethic committee in accordance with international ethical standards of animal research, the IANS report said. In the future, the team plans would focus on cloning monkey models with different brain diseases. Besides being used to study human brain diseases, the models will be used to test medicine effectiveness, which can help reduce the number of animal models used in experiments and lower the cost of medicine development, the report said.